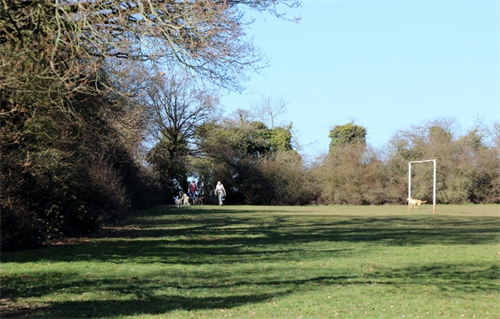 Folly Field recreational area is an open space located at the north end of the residential area known as “The Folly”. It is a 5.5 acre (3 ha) area of mainly grass used as a playing field mainly for football. An archery club also meets there regularly. There is a good sized car park and access to open countryside from the fields. The playing area consists of a slide with small climbing frame (2 yrs plus) and toddler (1-3 yrs) and pod swings (2 yrs plus). Please remember to supervise your children regardless of the age group for this equipment. 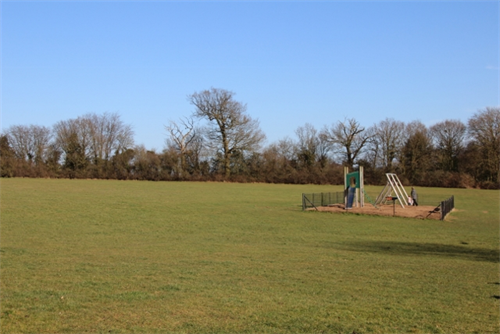 The car park can also be used to gain access to Melissa Field.